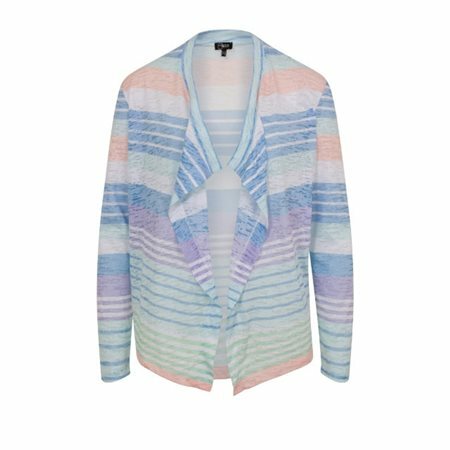 Embrace the sunshine with this pretty striped waterfall cardigan by Emreco. The waterfall detail adds a touch of glamour and the warm pastel colours of blue, peach and pink colours are perfect for the warmer season. Wear it with the matching sleeveless top for a chic look.